It is hot in December in South Africa and you can cool down with the latest RTG release Snowmania. Get ready to celebrate Christmas with free spins offered by some of the most reputable gaming venues catering to South African players. 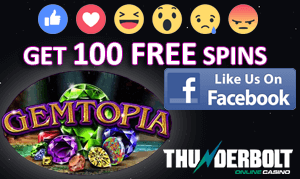 Silver Sands, Jackpot Cash, Thunderbolt and White Lotus give away up to 100 free spins on the Snowmania slot so stay with us to learn how to grab them. All players who use their mobile devices to play at Silver Sands and Jackpot Cash Casino can get 50 free spins on Snowmania if they simply open the mobile app and tap on banner on top, as simple as that. No deposit or coupon code required, just enter the mobile version of these two casinos and get your free spins. You can cash out a maximum of R500 and wagering requirements are set to 60x the amount obtained from free spins. You can make use of this offer until January 1st, 2017. 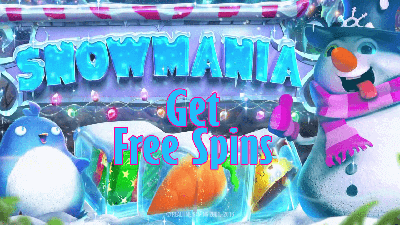 While playing Snowmania at Thunderbolt during December you can earn double comp points and enjoy 50 free spins. To be eligible for this offer you need to make at least one deposit in December and submit the coupon code GOTM-SNOW16. As the general Terms and Conditions apply, the winnings collected from free spins have to be wagered 60x the initial free spins value in ZAR before a withdrawal can be made and a maximum of 5x the initial free spins value in ZAR can be withdrawn. The offer is available until December 31st. The newest casino in the South African market White Lotus offers a 200% match bonus up to R10,000 and 100 free spins on Snowmania. You can claim this bonus 3 times per day if you deposit R100 or more and enter the coupon code SNOWMANIA. To turn free cash into real money you should wager 50x your deposit and the bonus amount. The bonus can be claimed until December 31st. Check out OnlineCasinosOnline.co.za on a regular basis to keep track of other offers because South African casinos are ready to treat you with numerous bonuses and promotions so that you can celebrate Christmas and enjoy the holiday season to the fullest.